States of emergency were declared in New York, New Jersey and Connecticut as a ferocious nor'easter descended on the region, dumping more than a foot of snow in spots amid dangerous cold and winds. Initial forecasts had predicted a foot and a half of snow for New York City, but models early Tuesday shifted west, meaning more of a wintry mix for the city and heavier snow inland. Some northern spots saw 15-plus inches by midday. Storm Team 4's latest projections call for anywhere from 3 to 12 inches of snow in the city, depending on the borough, with up to 2 feet still possible in areas significantly farther north, and lesser amounts in coastal New Jersey. By 6:30 a.m., early-morning snow in Bay Shore had already shifted to rain. The National Weather Service lifted its blizzard warning for New York City, but the warning remained in effect for nearly two dozen counties across the metro area. Coastal flood warnings were also issued during high tide for four of the five boroughs (excluding Manhattan), the Jersey Shore and the South Shore of Long Island. High tide occurs at different times throughout the morning depending on location. Check latest weather alerts. News 4's Brian Thompson in Sea View, where some streets have seen up to 17 inches of flooding. Despite the lowered snow projections in urban areas, Storm Team 4 says the storm, which started late Monday, will likely be the biggest of the winter for most of the region. The snow is not the only story, though. The dynamic storm may also feature thunder and lightning. Wind gusts could near 60 mph at times on Long Island, bringing the potential for widespread power outages. About 1,500 PSE&G customers (out of 1.1 million) were without power shortly after 9 a.m., but that number was expected to increase. In New Jersey, there were about 30,000 outages across the state, according to Gov. Christie Tuesday afternoon. That included 13,000 outages reported by PSE&G, and 5,000 at Jersey Central Power and Light. All power is expected to be fully restored by the end of day Wednesday. 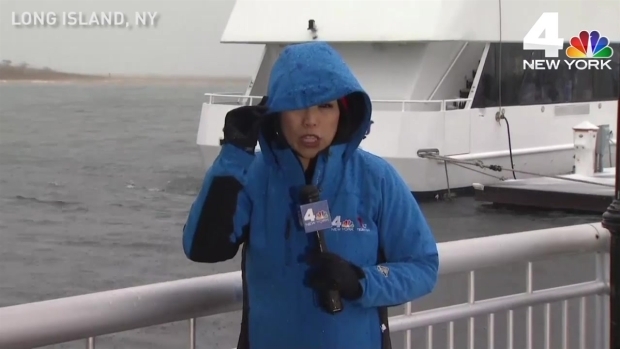 NBC 4 New York reporters were stationed around New York and New Jersey Tuesday morning as the snowstorm hit, halting commutes around the tri-state. Snow began falling in the tri-state shortly before midnight and rapidly intensified before dawn. Storm Team 4 said heavy snow would fall most of the day, with up to 3 inches of snow dropping every hour in the early afternoon. By 10 a.m., 13 inches had accumulated in parts of north New Jersey. In Wantage, 17 inches of coated the ground. Central Park notched 4 inches, while parts of Queens saw 7 inches. Rockland and Orange counties were among the hardest hit, with 10 to 13 inches in spots. 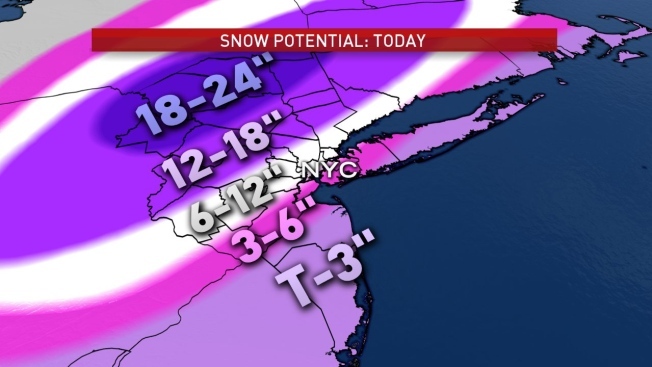 Check the latest snow totals in your neighborhood. Meanwhile, schools were closed across the region. Mayor de Blasio took the unusual step of announcing the shutdown early Monday afternoon, well ahead of the worst of the storm, because of the confidence of the models. School districts in New Jersey and Connecticut followed suit shortly thereafter. De Blasio said early Tuesday afternoon schools would reopen Wednesday. Gov. Cuomo said 2,000 National Guard troops had been called up and would be deployed to the southern tier. Non-essential state employees in areas impacted by the storm were asked to stay home Tuesday. MTA subway service above ground was suspended at 4 a.m. but was set to resume at 6 p.m. Buses were running at reduced levels and the NYCT said cancellations and suspensions were expected. Cuomo said the MTA is expecting a normal rush Wednesday. See latest transit changes here. Metro-North service was also shut down at noon because of the combined wind-snow effect but was set to resume limited service at 6 p.m.. A tractor-trailer ban on many state highways was in effect. 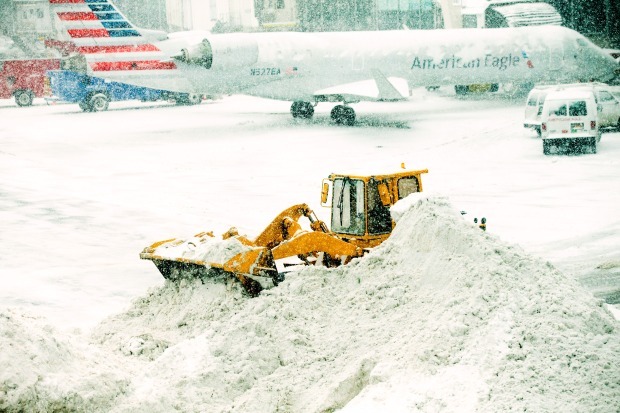 "Over 90 percent of flights are canceled and government, schools are closed," Cuomo tweeted. "There is no reason to be on the roads. It's dangerous." In Connecticut, Gov. Malloy issued a statewide travel ban at 5 a.m. It was to be lifted at 5 p.m. Tuesday. In New Jersey, Gov. Christie says state employees should expect to return to work Wednesday. "My intention right now is to have all state offices be open tomorrow, and be open at normal operating hours across the state," he said at an afternoon news conference Tuesday. Christie says it's up to each school district to decide whether to close Wednesday. He expects schools in the south and central parts of New Jersey to "be open, for sure." Schools in the eight northern counties hit harder by the storm will have to make their own determinations. Falling and blowing snow with strong winds created whiteout conditions at times, making travel extremely dangerous if not impossible. Dozens of accidents were reported across the region. 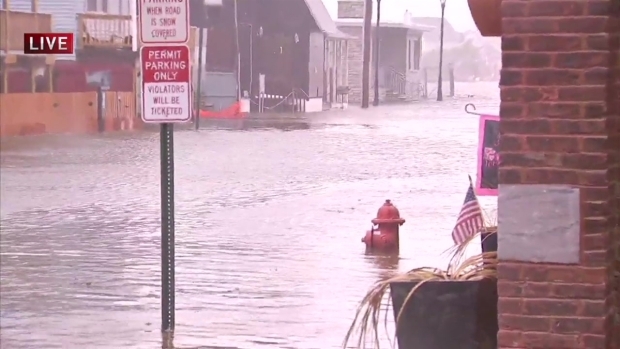 Though parts of the Jersey Shore were only expected to see a trace to a few inches of snow, coastal flooding and beach erosion pose a threat to shoreline communities. Video and photos posted to social media showed water bubbling in the streets of some beachfront communities by midday. Storm Team 4 says the system will pull away from the tri-state between between 6 p.m. to 9 p.m. Tuesday. Light snow showers are in the forecast for Wednesday ahead of a blustery and sunny day Thursday. Highs will be in the 30s throughout the week, with St. Patrick's Day seeing the warmest temperatures and a mix of clouds and sun. Last Friday, a winter storm system dropped half a foot of snow on parts of the tri-state. 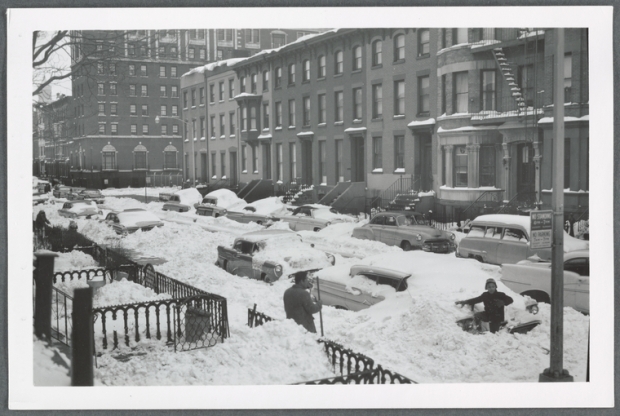 It's not unusual for significant snow to fall in March in New York City. According to the National Weather Service, the city has seen storms with accumulations of at least 10 inches in March five times since 1888. New York City has seen significantly less snow this winter compared to last year. It has snowed 20.5 inches so far this season compared to 32.3 inches by this time in 2016, an amount that was buoyed by one of the largest snowstorms in the city's history last January.